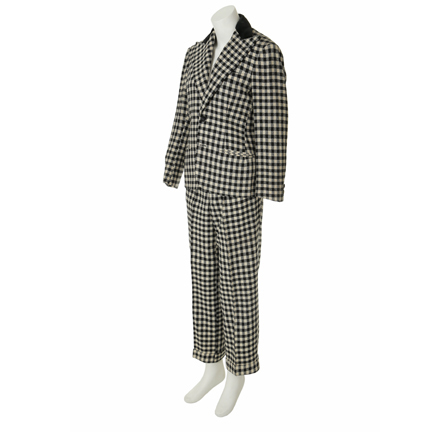 Period two-piece suit made for actor Ron Dennis for use in an unidentified production. 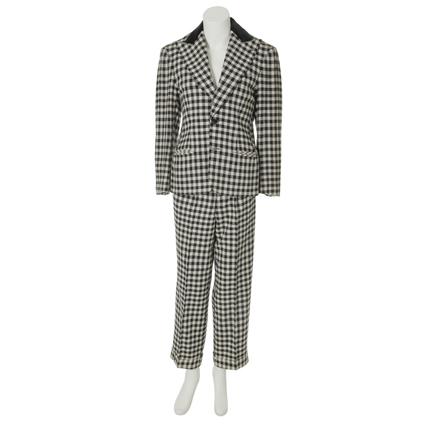 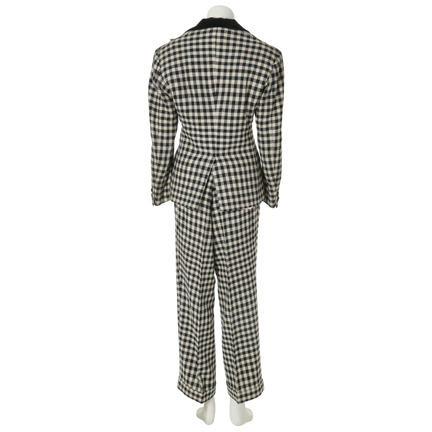 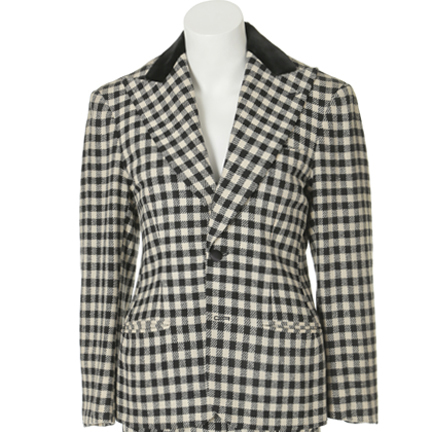 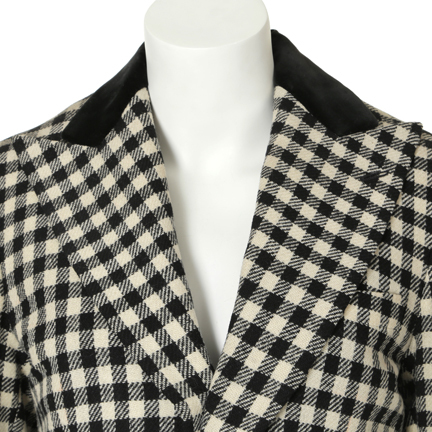 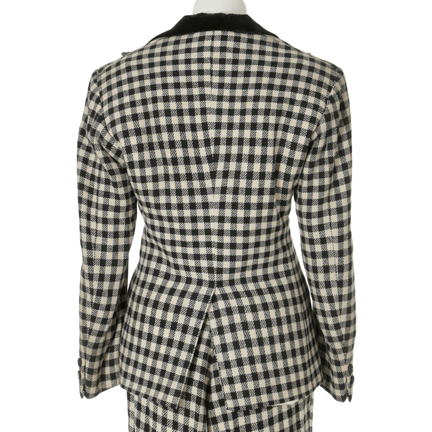 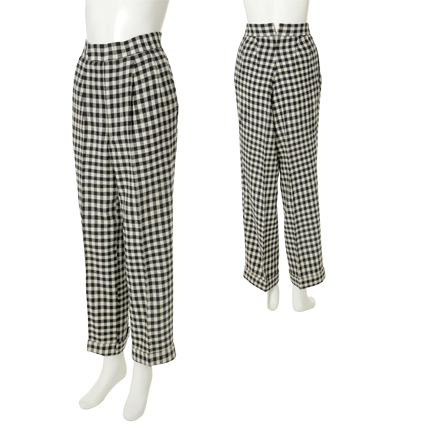 The black and white plaid wool suit includes a jacket with wide peak velvet lapels, two lower slash pockets, two button front closure, and matching double pleat pant with cuff. 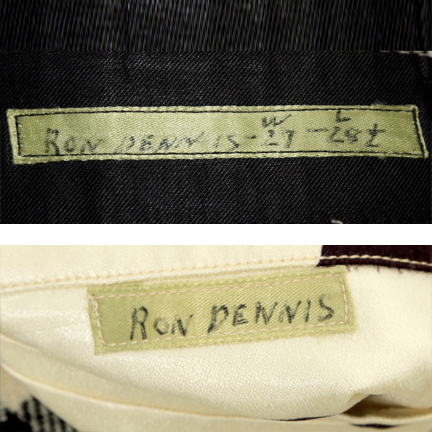 Both garments have internal labels with “Ron Dennis” hand written in black ink. 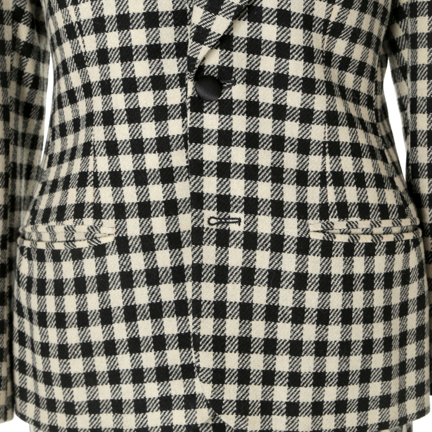 Dennis was known for his role as “Auther” in “Welcome Back, Kotter”, season 4 episode 10 “Washington’s Clone”.